Dog Day Afternoon…12 Angry Men…Prince of the City…Serpico…Night Falls on Manhattan…The Wiz, no other director offered as many complex stories about New York City as Sidney Lumet. I was initially introduced to his movies when I was a child. My mother was (and still is) a television czarina and a classic movies junkie. AMC was the channel of choice in our household, and while I wanted to see the latest and greatest on HBO, we always ended up watching a film with an epic musical score, cast of 1,000’s and actors who were megastars before I was even thought of. 12 Angry Men was my first Sidney Lumet film. It was different from most of the other films I had seen. The score was incidental; almost all the scenes took place in a stuffy jury room, but the breadth of the actors masterful command of the dialogue and emotion of the story, filled each frame to its fullest capacity. This film left an indelible impression on me about the justice system – what the system could be when used correctly and to its maximum potential. From then on I was hooked. I devoured Sidney Lumet films like a kid pigging-out on penny candy. For me his films were like partaking in a free sociology class, even before I was required to take one. While watching a Sidney Lumet movie I learned lessons about human nature; lessons that I am still attempting to master today. 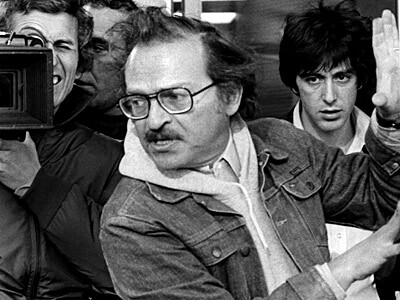 Sidney Lumet’s stories generally focused on the grittier side of the city – the side that is least attractive at the surface – but like the snip of sand that gets caught in a clam, he knew that it is from grit that a pearl is ultimately cultivated. His movies were like deep seas pearls, oddly shaped, unique works of art that should be coveted and displayed for their beauty and preciousness. I want to thank Sidney Lumet for all the magnificent shades he painted of the Big Apple on celluloid. In a time in which all the artisans I looked up to as a young girl seem to be crossing the great divide to the other side where spirit and body no longer coexist, his genius will surely be missed, but his movies will always serve as a reminder of what good filmmaking really is. Eugenia Wermus…Sidney Lumet June 25 1924 April 9 2011 was an American director producer and screenwriter with over 50 films to his name. He did not win an individual Academy Award although he did receive an and 14 of his films were nominated for various Oscars such as Network which was nominated for 10 winning 4..The Encyclopedia of Hollywood states that Lumet was one of the most prolific directors of the modern era making more than one movie per year on average since his directorial debut in 1957. Film critic described him as having been one of the finest craftsmen and warmest humanitarians among all film directors. Lumet was also known as an actors director having worked with the best of them during his career probably more than any other director. 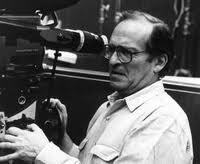 .Lumet began his career as an director then became a highly efficient TV director. .A consummate workaholic who helmed vibrant films well into his eighties Sidney Lumet laid claim to being one of the most revered and most imitated directors of all time.